Blurb: Mother, wife, private investigator...vampire. Six years ago federal agent Samantha Moon was the perfect wife and mother, your typical soccer mom with the minivan and suburban home. Then the unthinkable happens, an attack that changes her life forever. And forever is a very long time for a vampire. And through it all, Sam finds herself in a lethal game of vampire vs. vampire as a powerful—and desperate—enemy will stop at nothing to claim what he most desires. Okay, so I enjoyed this one too! It was another interesting mystery with lots of things going on at once. I don't want to give anything away, because there were just so many things going on in this one. Again Sam is trying to be a good mother and balance her job as a private investigator and her job as a mother and I think she does a fairly good job. She has to try to figure out how to save her child and she only has four days in which to do it. Meanwhile, she has her relationship with Kinsley and Fang to figure out and I still don't know for sure where either one is heading lol. Hopefully the next book will give us a little bit more to go on regarding her relationships. 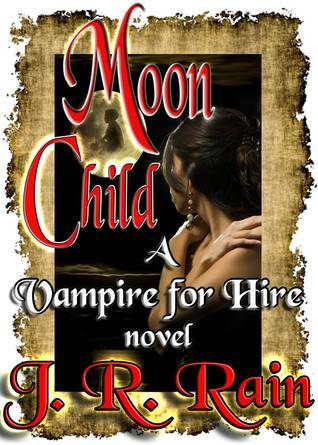 Sam grows stronger in her vampiric abilities in each and every book and this one is no different. I've also enjoyed seeing her grow as a person and her character feels real in every one. The story was entertaining and enjoyable, but it felt a little short to me. It was still really good, but I wish there was a little more to it. Overall though it was a really good read.